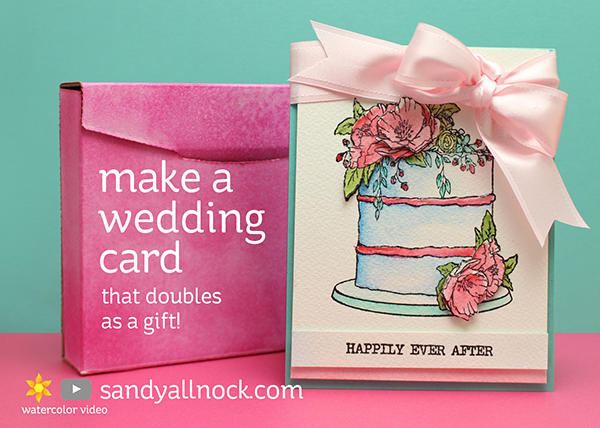 Sometimes you make a card that’s so special – with all the bells and whistles – that it needs to BE the gift. 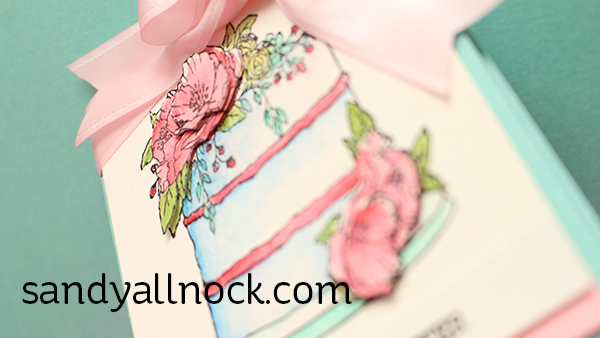 Today I’ve got a card like that to share, as well as the perfect packaging to use with it! Watch the video below or click HERE to see it in HD on YouTube. And do you know the irony of today’s project? I don’t know a soul getting married…. But perhaps the next couple that invites me to their wedding will also do me the privilege of using these as their wedding colors….Lol! I loved the painting lesson. It is a great stamp and it gave me inspiration to buy it and paint it. Many thanks. Great card. I was curious about the card guards…thanks for showing that. I love it. I really want that stamp set now. Such a stunning card. I love the clear shimmer water colour you put over it, just beautiful! I love this idea… but love the art lesson more. Thank you! 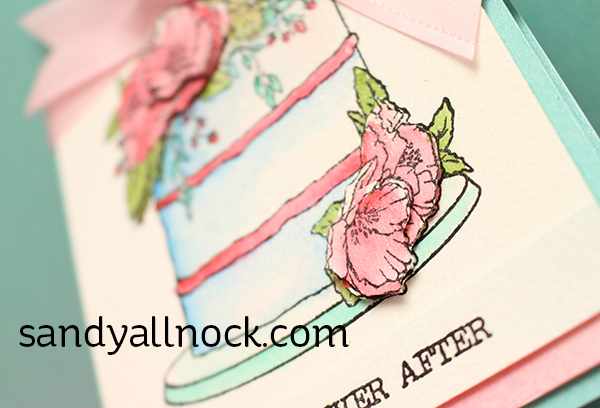 Very nice stamp for birthdays as well as weddings! So pretty. I love your suggestion to do something more than once. I do it one time and then point out what I don’t like and then settle. I need to do over. Absolutely beautiful! Sooner or later someone you know will be getting married and that will be a treasured gift. I was thinking – but that bow is too big and too lightly colored, the colors don’t look like wedding, two many white spaces left. But each time it looked better and better – you really are the “color-ista” and me your follower! Thanks. What a pretty card! Love all the dimension and the colors you chose. Thank you for the inspiration.